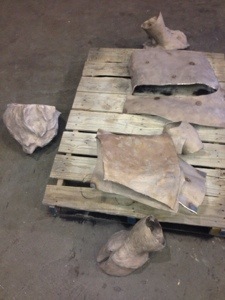 To quote my mentor, Fritz White, “Being a sculptor is not for sissies”. It’s been a long time since I’ve struggled with a piece as much as I have with this one. I’ve built it up and torn it down at least six different times. Yesterday, the words echoed through my mind “nobility of concept”. They were the words of an artist, Garland Weeks, who I took a workshop from 18 years ago. That one phrase assisted me to make a few adjustments for the better. I’ve learned that a huge part of what I do is “listening to the whispers”. 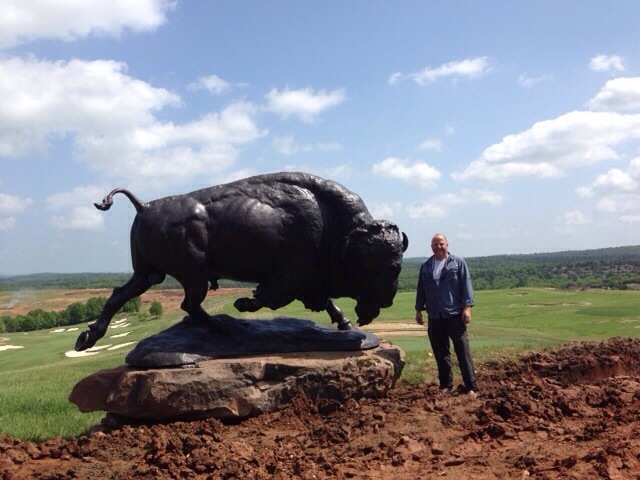 What is more American than the bison. Years ago, when I was studying these dudes, it was news to me that they roamed from Canada to Mexico and from the Rocky Mountains to the Mississippi River. 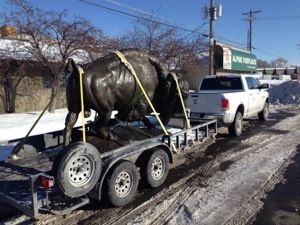 Legend has it that these animals migrated north to what is now known as “Buffalo Minnesota”, (because it was shallow there), and crossed the Mississippi River to Eastern grazing lands. 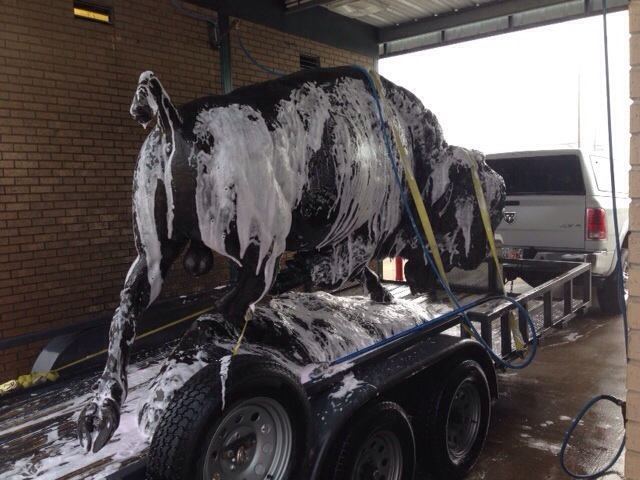 This is how you scrub your buffalo…..at the car wash. Drove about 25 hours “one way” for delivery. As my Uncle Grant would say, “Go easy like a frog a walk’in.” I wanted no problemo’s, so I took the long way through Utah….Logan to Lehi to St George…….then through Las Vegas, Nev and on to Tempe, Tucson, spent night in Willcox, Az….on to El Paso, Van Horn, south to Marfa….arrived at Cibolo Creek Ranch. 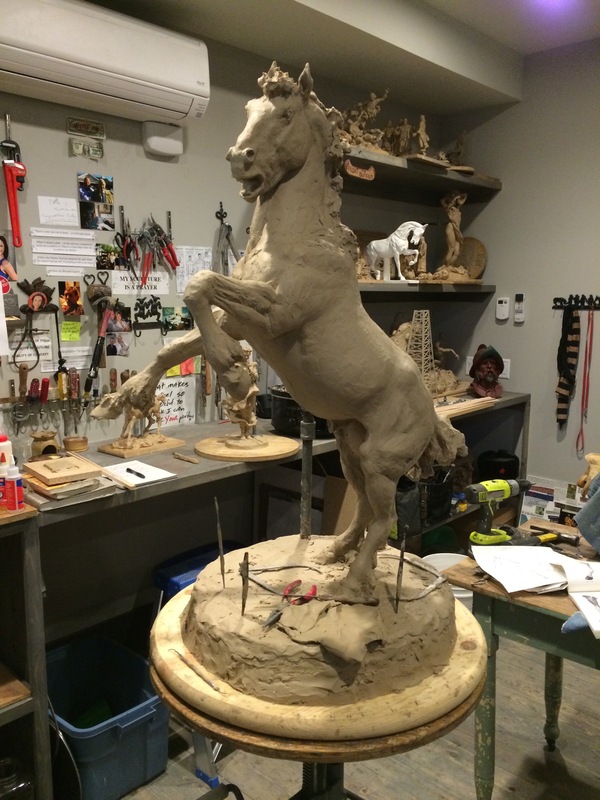 Happy to have the first casting of this sculpture completed. 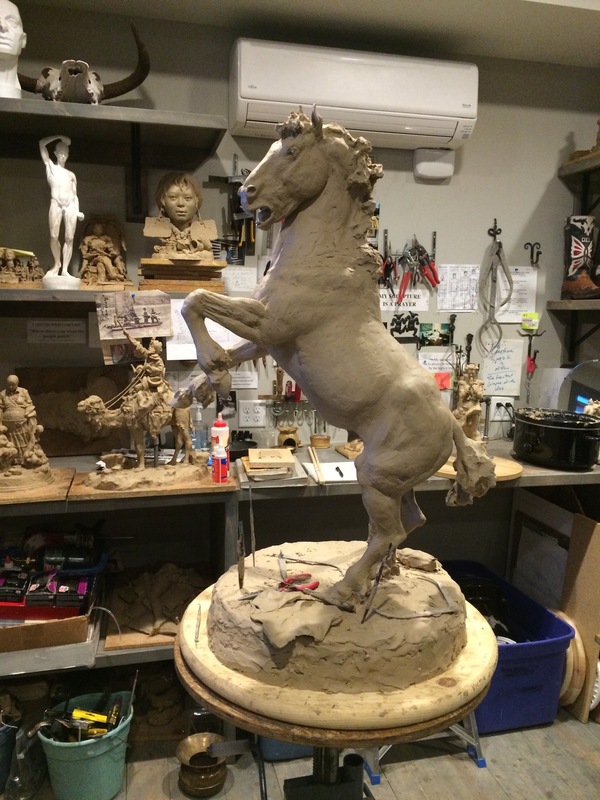 After one year of work….this bad boy is finally ready for patina. He weighs in at 1700 #’s. 6′ 9″ high. 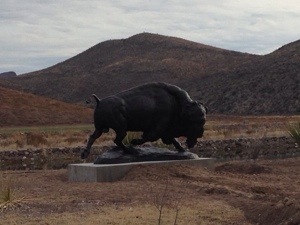 I call him, “American Bison”. 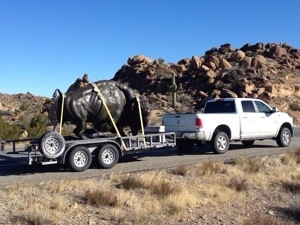 For those following the progress of the monumental buffalo, here is an update. 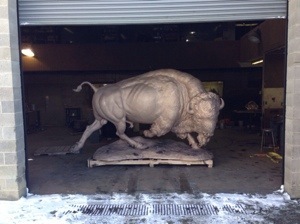 Clay buffalo with seven coats of silicon rubber. 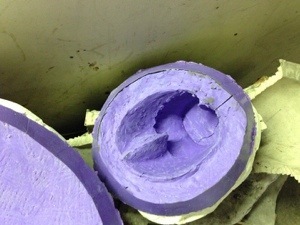 Sprayed with a dense foam mother mold. 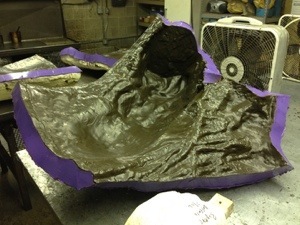 The mold is cut off the clay and cleaned up in preparation for the wax coating. 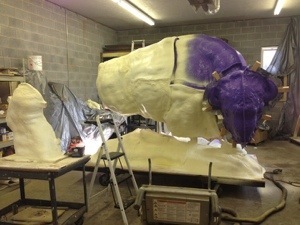 Next, a wax coat is applied to the mold sections. Here’s where it gets interesting. 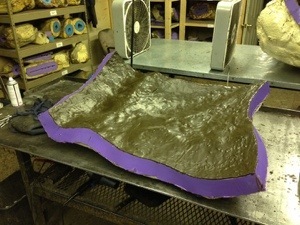 The wax is cut into small sections and has sprues attached. 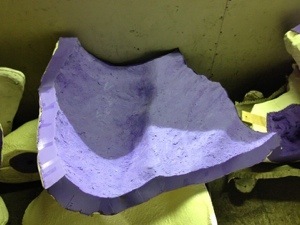 These are the coated with a silica sand. 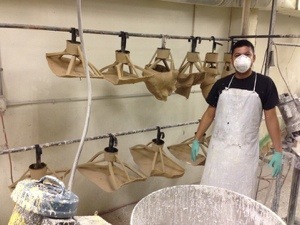 It is into the silica sand investment shells that the bronze is poured. 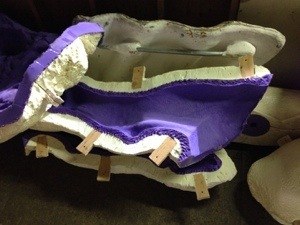 Once the bronze is poured into the ceramic shell…it is chiseled off and ready for welding together. This photo shows hoof, beard, etc. 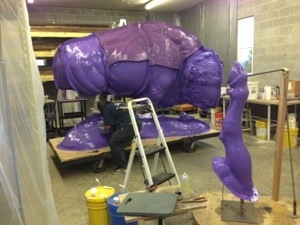 The mold has been started on the buffalo monument. I thought it be fun to show on my blog the step-by-step process. 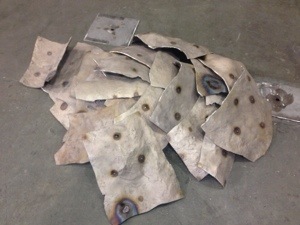 The sculpture has been divided into sections with shims. 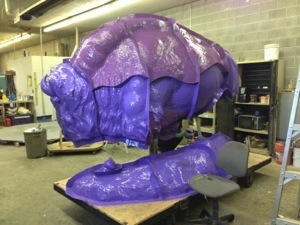 Many coats of latex rubber (usually six) are then added. 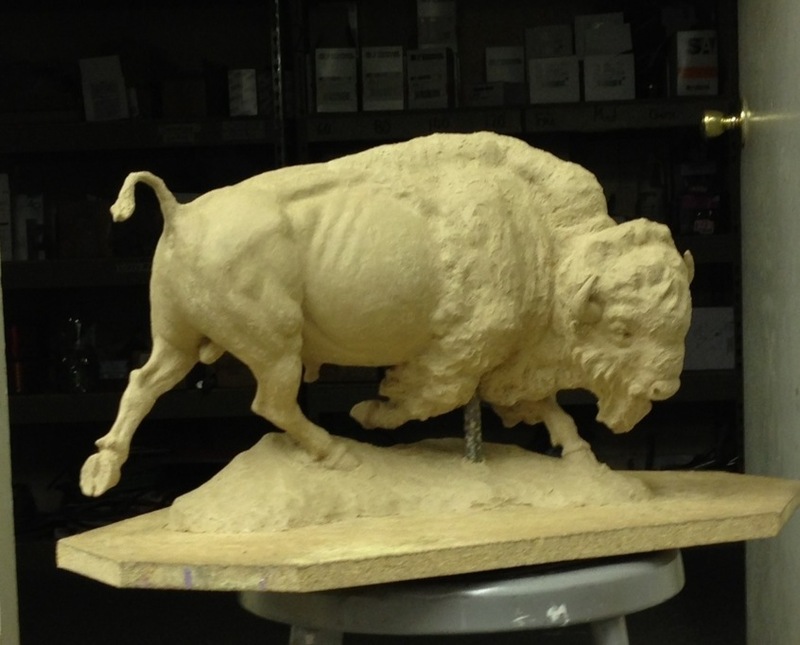 Just completed this maquette of a buffalo that will now be enlarged into a 7 ft monument. We all know what I’ll be doing for the next five months. “Buried up to my neck in clay”. 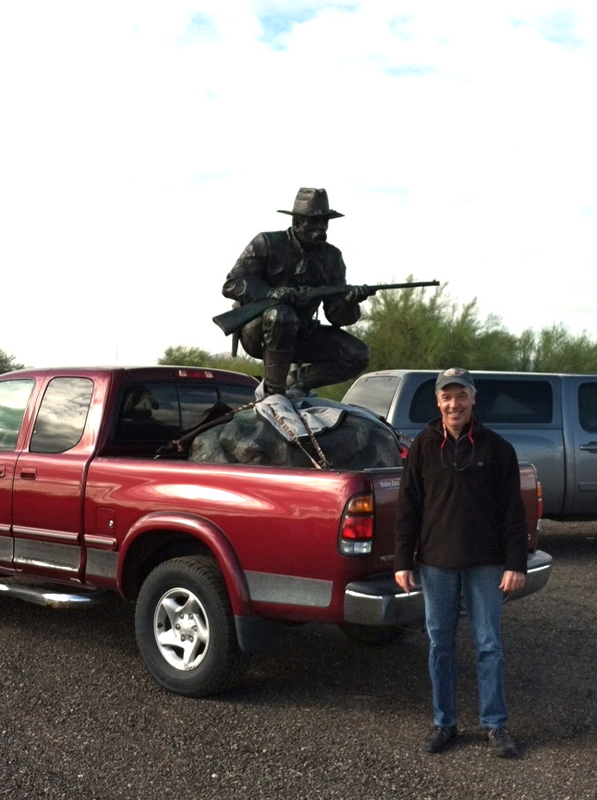 If anyone has a suggestion for a title….please pass it on.